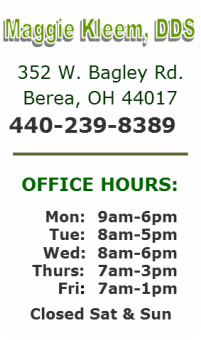 Our dental office located in Berea, Ohio is a modern, friendly, and quality care private practice. We are dedicated to offering personalized and gentle dental care to our patients. Our experienced doctors and knowledgeable staff offer a variety of dental services to meet your individual needs. Our friendly dental staff is more than happy to assist you with any of your questions or inquiries by phone or in person. Come and visit us we would love to see you and your family. Use the form﻿ below to contact us for an appointment!